We took Gwyneth bowling for the first time last week...she loved it! So, I figured for those of you who are just joining us and don't have the time or desire to spend the few hours that it would take to read through every post here, this is a good way to learn all about us in just a few minutes. My name is Nathan Lawrenson (most people call me Nate). On June 27, 2004, I married Patricia Suzanne Kirschner (everyone calls her Tricia), and we began our crazy life together. Up until September of 2007, we had been living in Nags Head, on the Outer Banks (OBX) of NC for two years with our dog, Meka and our cat, Ralphie. Tricia has Cystic Fibrosis (CF), a terminal, genetically inherited disease that especially affects the lungs. 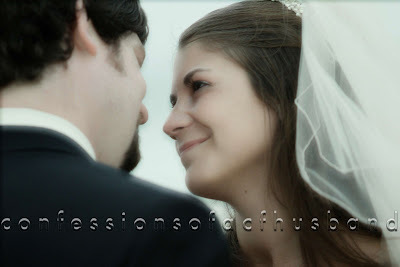 When we were married, she was showing outward signs of the deterioration that her CF was causing to her body, and, with the support of her medical team, we quickly began trying to start a family, knowing that our window of opportunity was small. 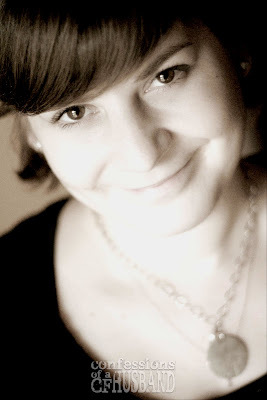 In May of 2007, after a few unsuccessful years of trying to become pregnant, Tricia’s disease had progressed to the point at which her doctors strongly advised that we stop our efforts to conceive and consider undergoing the evaluation process for the double lung transplant that could save Tricia’s life. Trusting in our doctors’ wisdom and in God’s control, and coming to terms with the fact that we would never be able to have our own children after that point, we took their advice. Yet, all this time, since before we were even married, Tricia had been praying a secret prayer…it was even a secret to me. Tricia had been praying for a miracle baby. In July of 2007, Tricia went through the week long evaluation process at Duke University Medical Center to determine if she was a candidate for a transplant. She was a candidate, and we began making plans to temporarily move to Durham, NC to be close to Duke. In early September, the day before Tricia was to begin the physical therapy that would prepare her to be placed on the transplant list, we found out that we were unexpectedly pregnant. Against the advice of many of our doctors, we chose to keep the pregnancy, having been told that both Tricia and the baby had less than a 50% chance of surviving. From September through December, Tricia participated in physical therapy five days per week to keep her body in the best shape possible, all the while growing sicker and more dependent on oxygen. 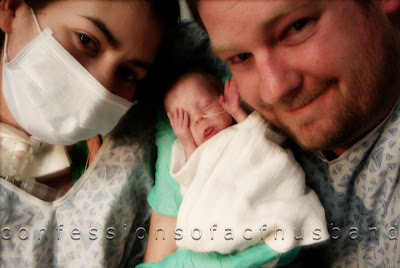 On December 27, Tricia went into the hospital for what we hoped would be a short stay. The short stay turned into a long stay. Because of her deteriorated health, Tricia was moved, on January 3, 2008, to an ICU room. During this time, Tricia was getting less than one hour of sleep per every twenty-four hours. The baby was just under twenty-four weeks old (gestation) and doing as well as possible. On January 8, Tricia was taken to the OR where she was sedated, given a tracheostomy and placed on a ventilator, with the hope that she could carry the baby for a few more days. The trach and ventilation went well, but Tricia was too unstable to return to the ICU, and the decision was made to perform an emergency C-Section right there in the OR. There were no less than 75 medical staff with Tricia in that room that day. 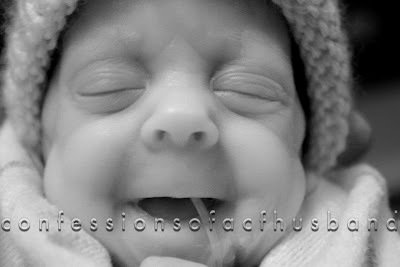 Gwyneth Rose Lawrenson was born that day at 24 weeks and 4 days gestation, weighing just under 1 lb 6 oz and measuring 12 inches long. Following Gwyneth's arrival, Tricia was placed in a medically induced coma for nine days. She was slowly weaned off the paralytic and sedation meds until she was fully awake and aware of all that had taken place. Tricia remained on the vent in the hospital for over four months as she slowly regained some of her strength. On February 22, less than seven weeks after giving birth, Tricia was listed and activated on the double lung transplant list. She was given a high score but was told that new lungs may be difficult to find because her blood type was very rare. In the meantime, she was walking nearly a mile everyday (with the help of a vent and a walker) and visiting Gwyneth for just a few minutes each day. On April 2, my 27th birthday, we got the call that changed our lives forever. Tricia was going to receive a second chance at life. That night, and throughout the early-morning hours of the next day, Tricia underwent the nine hour surgery to replace her old, sick lungs with a new, healthy pair. 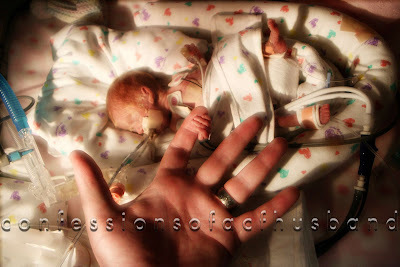 Gwyneth Rose spent over eighteen weeks in the NICU. 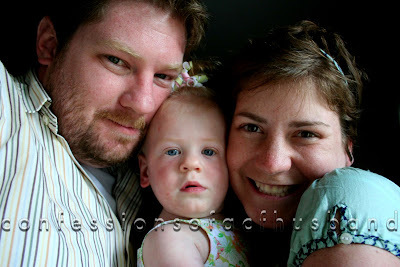 On May 15 (2008), we finally brought her home (to our hotel in Durham). Although she remains on a few medications to help her premature body grow, and her development is progressing slowly, she continues to do incredibly well with no major setbacks. Gwyneth has amazed everyone, including her nurses and doctors. 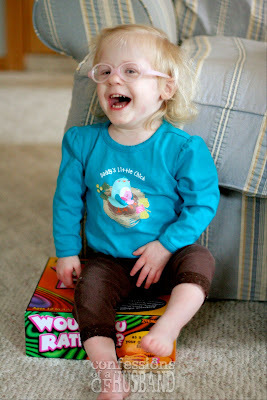 At 2.5 years old, Gwyneth finally began walking on her own, and, with the help of glasses and hearing aids, she is discovering how to communicate with others with sign language and a slowly growing vocal vocabulary. Although she is very small for her age as a former micro-preemie, she is now growing at a very steady pace and is well over 24 lbs. Gwyneth is the joy of our hearts and a smiling baby, and we are having so much fun introducing her to the all of the things that God has given us in this beautiful world! Tricia is has recovered very well from the transplant surgery. After less than three weeks of recovery, she was finally discharged from the hospital on April 22 (2008) and completed several weeks of rehab at Duke by the beginning of June. While there have been no signs of rejection in her new lungs, Tricia has had some issues with lung infection and was diagnosed in June of 2008 with Post-Transplant Lymphoma (PTLD). As of November (2008), the lymphoma has been in remission. Although she experiences constant minor health issues related to her immunosuppressant meds and her lingering CF , Tricia is now feeling healthier than she has in years as she continues to live with a strong heart and a smile on her face. She is taking to her long awaited roll as a mother with as much joy, grace and determination as she approaches everything in her life. I literally lived at the hospital with Tricia from December of '07 to April of '08, spending most of my time in Tricia's room and making several visits with Gwyneth every day, sleeping most nights at Tricia's feet, and only returning to our hotel for a little sleep and to spend some time with our dog, Meka. Tricia's mother, Agnes was there with us for most of that time as well, and much of our family (from NC and NJ) spent lots of time with Tricia and Gwyneth whenever they were able. Tricia and I are slowly returning to a more normal sense of life. We are incredibly excited to have Gwyneth home, and are enjoying our lives as full-time parents. We finally returned home to the OBX in early June of 2008 and purchased our first home in the fall of 2008. We are spending a lot of time with our families, traveling to visit friends, and are looking forward to another awesome summer on the beach! We are forever grateful to Tricia's donor and his/her family for making the decision to give Tricia a chance to be a mother and wife (not to mention and daughter, sister, granddaughter, niece and aunt) for several more years. We are also humbled to have this opportunity to allow God to use our story to show Himself and bring our passion for awareness of and support for Cystic Fibrosis, Organ Donation, Premature Birth and Lymphoma to the minds and hearts of even more compassionate people. Thank you for reading our story, and feel free to check back in as we update the blog often. Also, take advantage of the links on the right-hand sidebar to find out even more about our story.